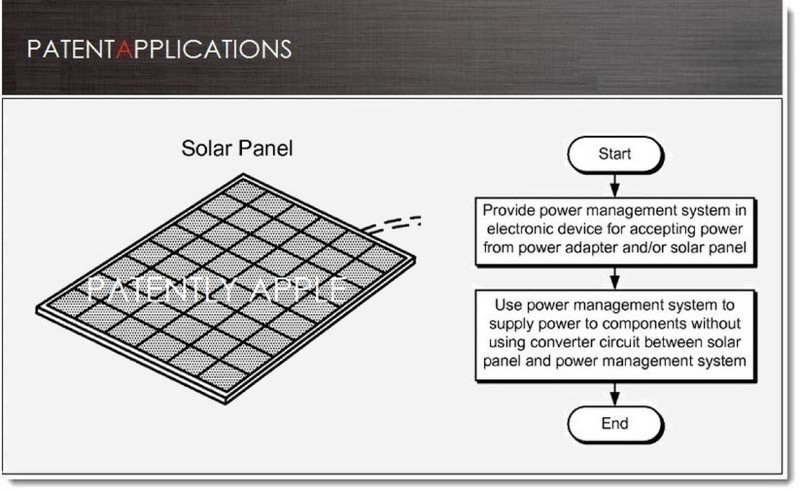 A new patent application from Apple published by the US Patent & Trademark Office reveals a power management system that will work with both a power adapter and seamlessly with a portable solar panel accessory for charging on the go. Patently Apple notes that this solar power panel accessory may work with mobile devices like MacBook or iPhone, without requiring a power converter. The filing details a power management system that supplies power to components in an electronic device. The power management system includes a system microcontroller (SMC) and a charger. The electronic devices that will be able to take advantage of Apple’s new solar panel include a MacBook, iPad, iPod touch and iPhone. After accepting power from at least one source i.e either a power adapter or a solar panel, the power management system supplies the power to electronic device without using a converter circuit in between between. Apple credits Kisun Lee, among others as the inventors of patent application, who was hired by Samsung last year.